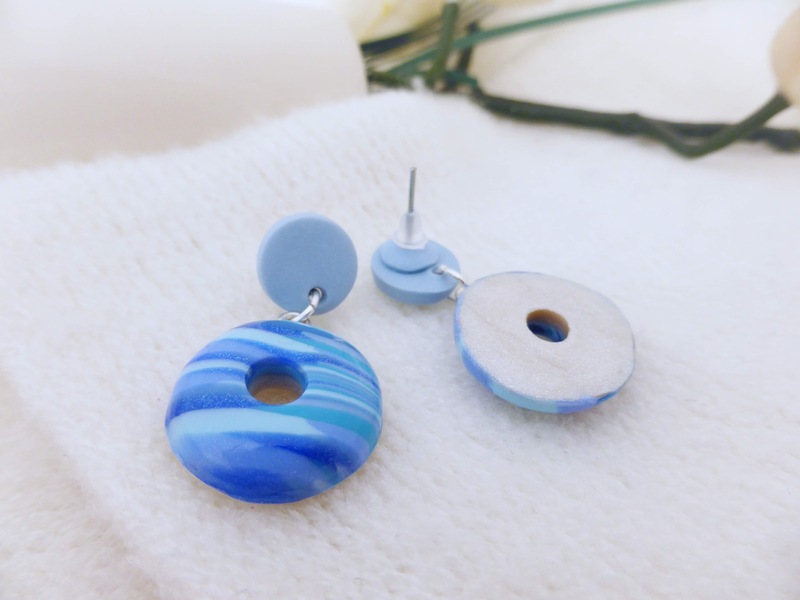 Blue stud and hoop earrings lovingly handmade from Polymer Clay. 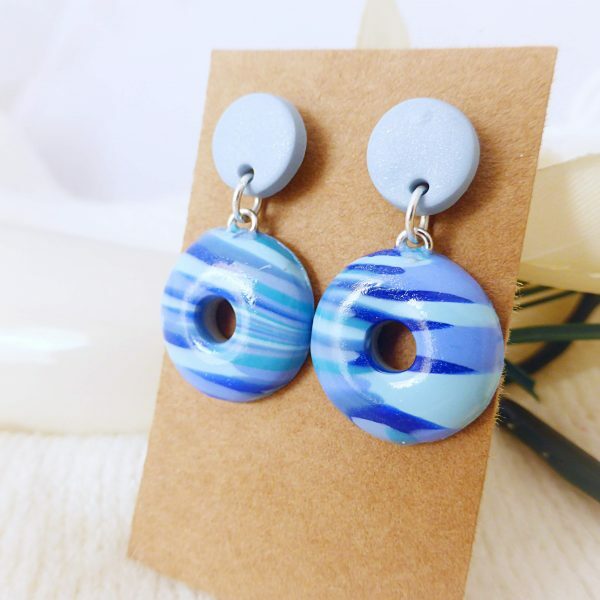 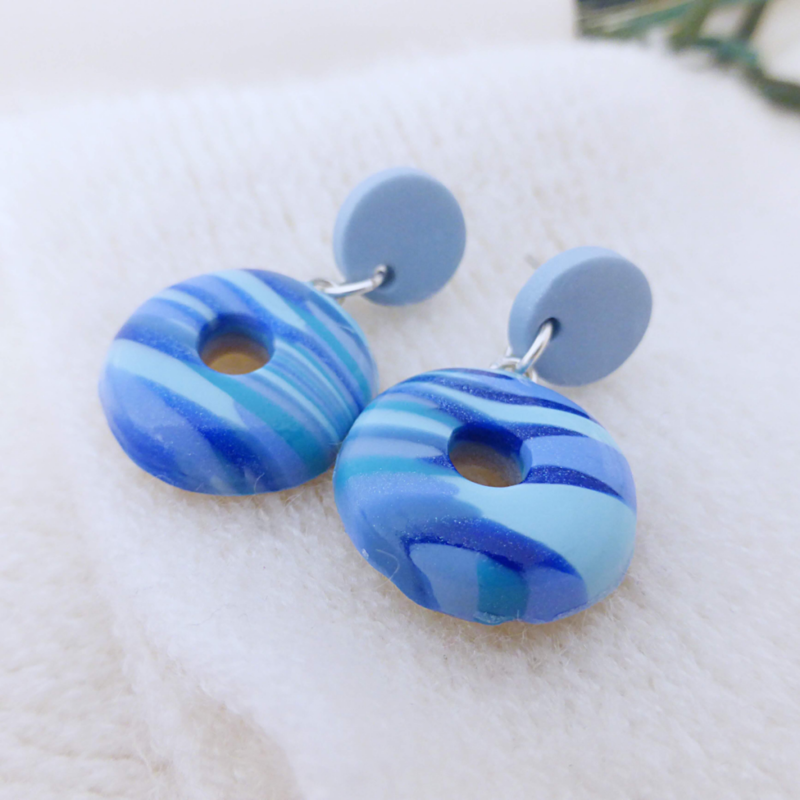 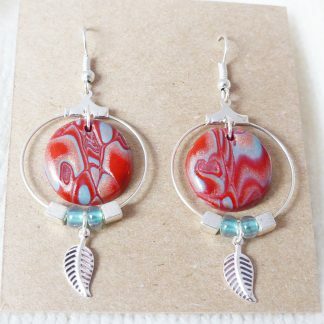 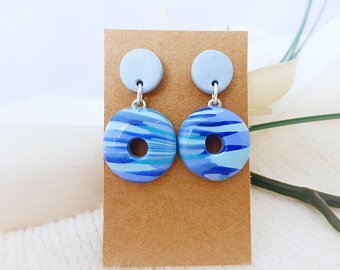 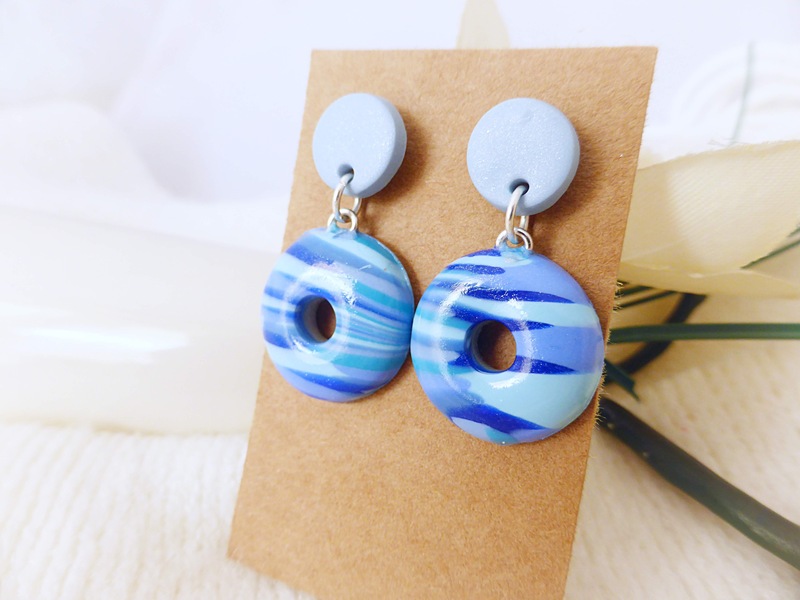 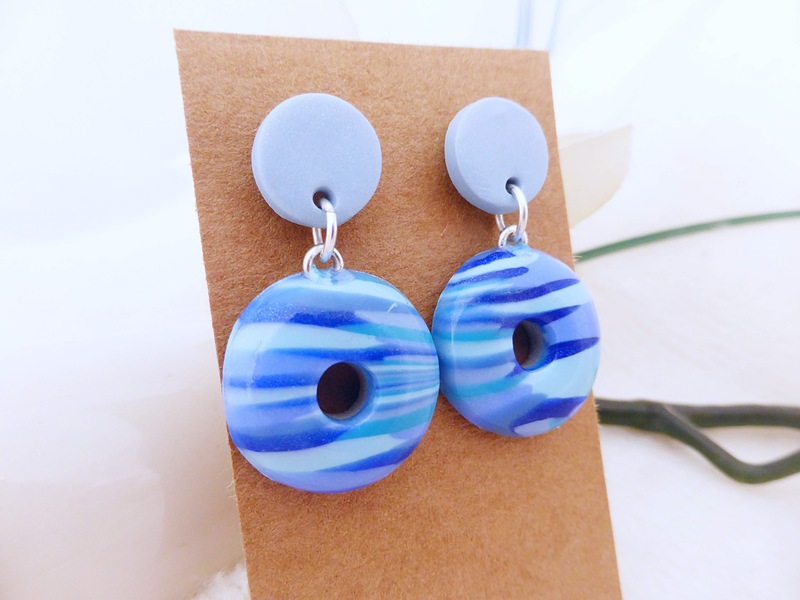 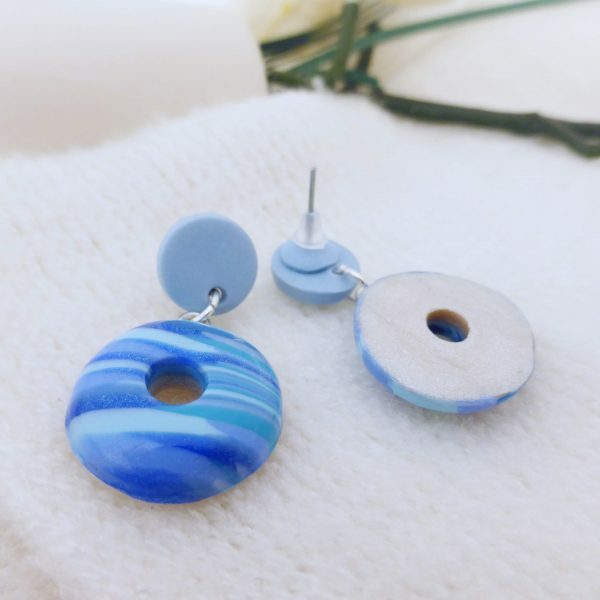 An unusual pair of earrings, crafted in a beautiful mix of blue shades in an eye catching stripe pattern. 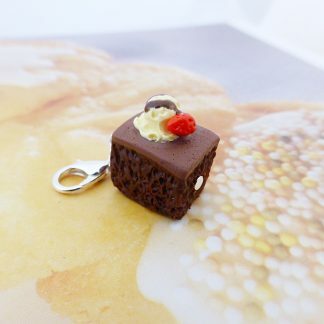 Please keep out of the reach of young children and pets due to small parts which could pose a choking hazard! 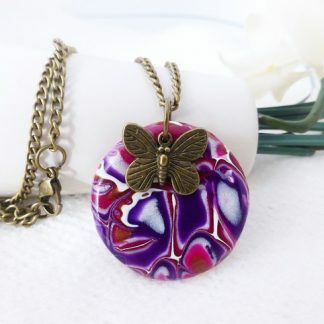 I love to design and create unique jewellery and gifts. 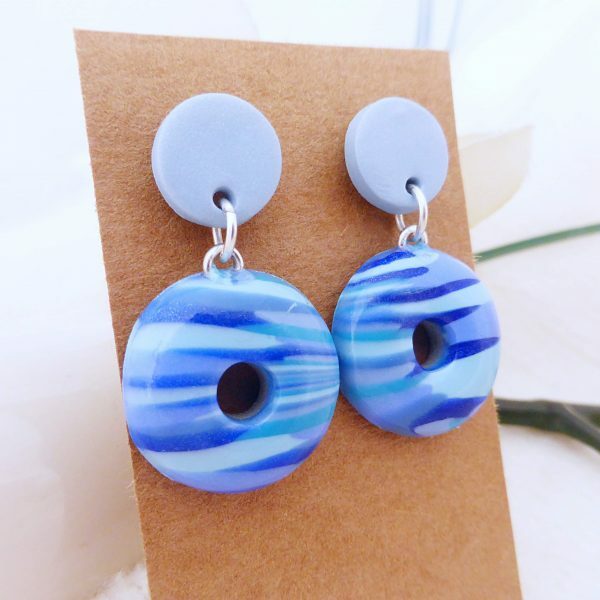 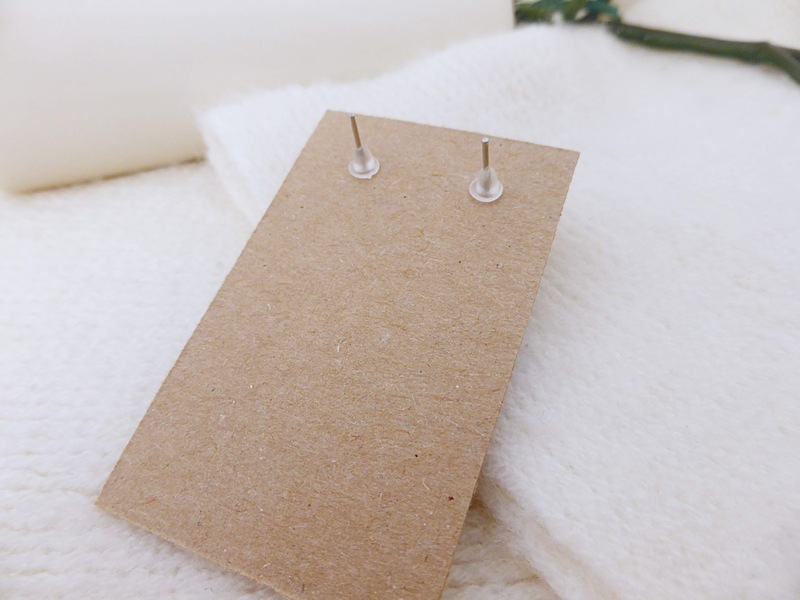 I’ve also started to make jewellery making supplies, and have beads, pendants and charms ready for you to create into something special. 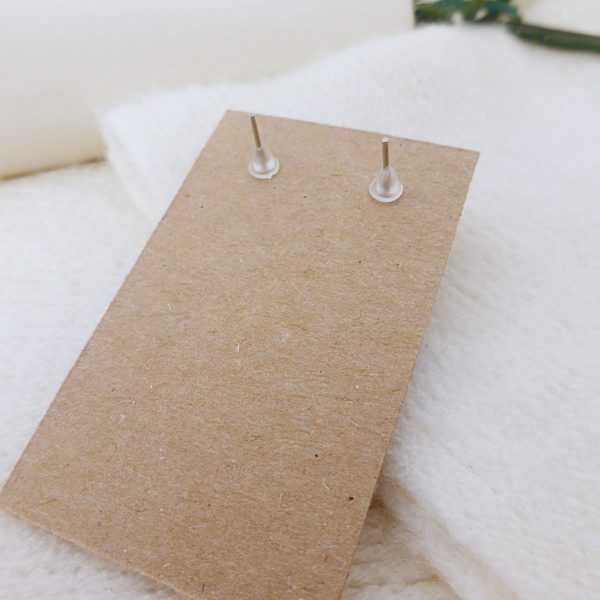 I’m more than happy to accept custom orders.